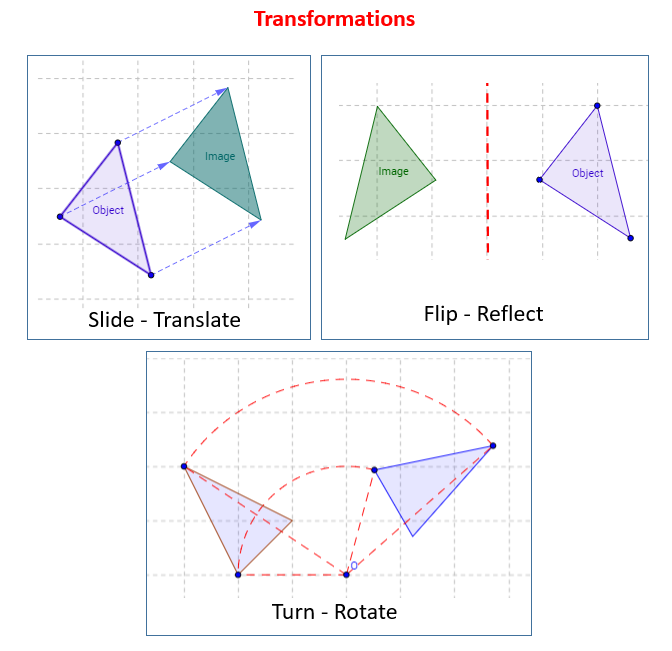 In these lessons, we will learn some transformations of 2D-shapes: translation (slide), reflection (flip) or rotation (turn). The following diagrams show the Transformations: Slide, Flip and Turn. Scroll down the page for more examples and solutions. 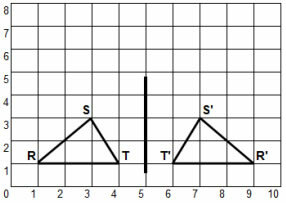 In a translation or slide, a shape is moved along a straight line without turning. The shape in the new position is called a translation image of the shape. The translation is described by the number of squares moved right or left and up or down. 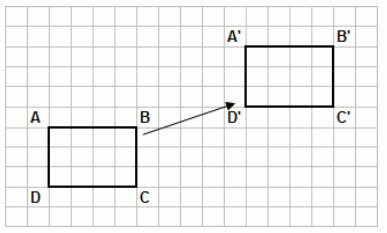 The translation rule for the following rectangle ABCD is 9 units right and 4 units up. When a shape moves along a straight line without turning, it is translated from one position to another. The movement is a translation or slide. When we draw the shape in its new position, we draw a transition image of the shape. The translation is described by the numbers of squares moved right or left and up or down. 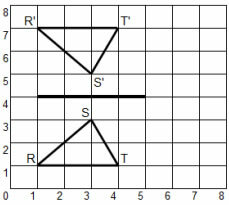 A shape and its translation image have the same orientation; that is, they face the same way. To transform a shape, you slide, flip, or turn it. To translate a shape, you slide it over a line. To reflect a shape, you flip it over a line. To rotate a shape, you turn it around a point. How to translate a shape? A reflection is a flip over a the mirror line (line of reflection). The line of reflection is equal distance to both the 2-D shape and the reflected image. The line segment that joins a point to its image is perpendicular to the line of reflection. The following shape is reflected in a horizontal line of reflection. The following shape is reflected in a vertical line of reflection. A video outlining the steps to translate (slide) and reflect (flip) shapes. Step 1: Choose one point to start at. Step 2: Translate (slide) by counting the units from the start point. Step 3: Choose another point to start at and repeat until finished. Step 2: Count the units to the Reflection Line. Step 3: From the Reflection, count the same number of units away and place the point. Step 4: Continue for each point until finished. 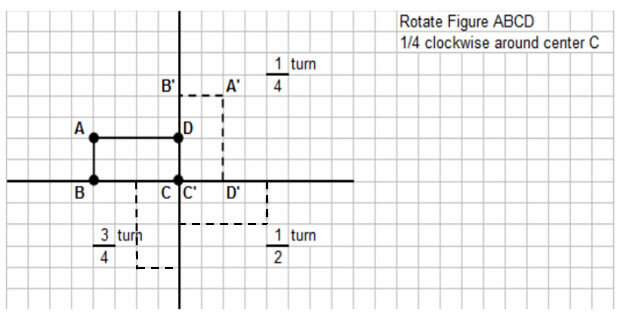 When a shape is turned around a fixed point, it is called rotation or turn. The shape may be turned clockwise or counterclockwise about the point. After one complete turn, the shape is back where it started.